38/166 David Mumpower This is a movie I am confident Walter Matthou would love. 50/85 Kim Hollis It's a foul-mouthed little movie that is absolutely hilarious. 54/60 Les Winan Aggresively mediocre. I was able to count the laughs (or mild chuckles even) on one hand. After 27 years, the Bad News Bears have finally returned from Japan. No, the infamous group of baseball misfits has not been stuck at the same Terminal as Tom Hanks. Instead, the group has been patiently waiting for Paramount to give the greenlight to a new series of adventures. Thanks to the Bad Santa team, that day has finally come to pass. Like Disney, Paramount has been looking to reinvigorate dusty franchises in a blatant attempt to milk dormant cash cows. 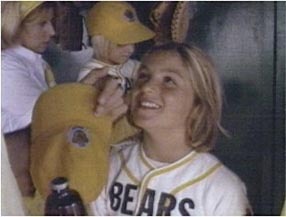 The Bad News Bears franchise spawned three films and a short-lived television series. The success in large part hinged upon the masterful casting of Walter Matthau in the first film (though William Devane was also great in the second one...the less said of Tony Curtis in part three, the better). The legendary actor portrayed a woefully inappropriate role model who was unexpectedly placed in a position of influence with some struggling youths. To everyone's surprise, the entire group blossomed as the team concept carried the day. The theme of an immature coach finding redemption through youth league coach has proved so popular that we have seen various offshoots of it over the years. Hardball, the Keanu Reeves classic(?) is the most notable example, though there are several others, such as Goldie Hawn's Wildcats and Rick Moranis's Little Giants. See the latest developments for this project on the The Bad News Bears Movie News page.